A young man from Barnaby Village in Nevis has reportedly been ‘chopped’ in the vicinity of the XPetrol gas station in Camps Village Nevis . The incident took place around 7pm on Monday . 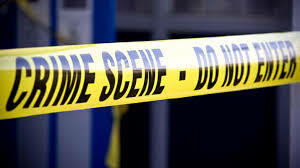 The Observer understands that a fight ensued between the young man and a bus driver from St.Jame’s Parish which left the young man receiving chops to his body. The Barnaby resident was taken to the hospital where he is receiving treatment. The Observer can not confirm if the alleged attacker was taken into custody . This is the second incident of persons being ‘chopped’ at this location over the last two months.